Baby laughs -- don't you just melt when a baby laughs? The beauty of baby showers is that they foreshadow all these joys-to-come for the glowing mom-to-be. Candice graciously coordinated a baby shower for her coworker, Breda, who is expecting a baby boy. 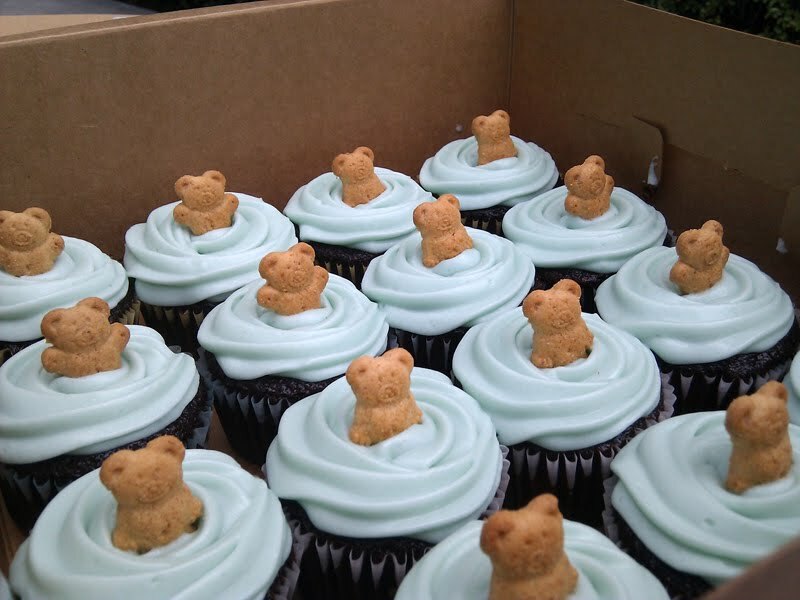 What better way to celebrate than with teddy bear cupcakes? Two dozen rich chocolate cupcakes (to satisfy any chocolate cravings) with creamy vanilla cream cheese frosting tinted baby blue and topped with a sweet little Teddy Graham. 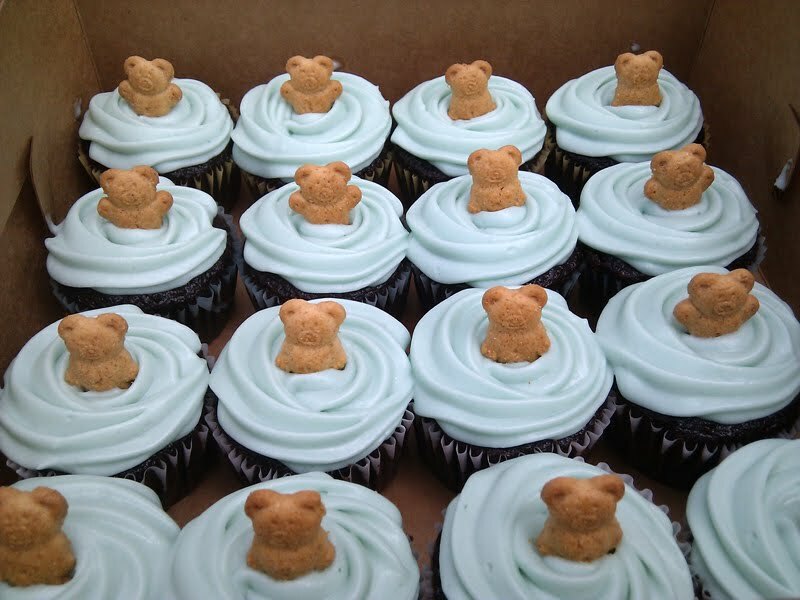 (By the way, it's been too long since you've had a Teddy Graham. They're as good as you remember them to be, so go get a box, stat! Trust me -- I know these things). Anyway, I digress. Congratulations, Breda, and thanks again, Candice for choosing me for this very special occasion!